midbrain nucleus that is rich in dopamine neurons. The substantia nigra supplies the basal ganglia with dopamine, and the death of dopamine neurons here is associated with the symptoms of Parkinson's disease. 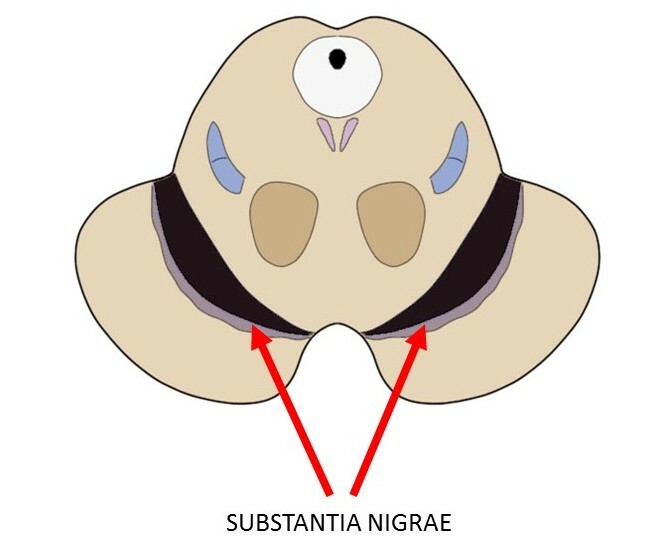 The substantia nigra is also involved in reward, motivation, and addiction.